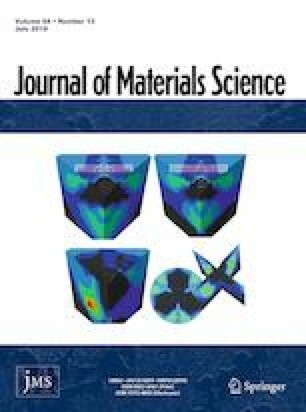 Plasma surface modification of polyimide (PI) films has been used to modify the material’s wetting and adhesion properties but has also been found to impact high-field electrical properties. Previous work by Meddeb et al. (Chem Phys Lett 649:111–114, 2016. https://doi.org/10.1016/j.cplett.2016.02.037) demonstrates a significant reduction in high-field leakage current at high temperatures because of O2 plasma treatment of PI. In this study, we investigate field-dependent current density [J(E)] data measured in our previous study by Meddeb et al. (2016) to identify the surface and bulk mechanisms responsible for high-field conduction behavior of O2 plasma-modified PI films. Specifically, we analyze the J(E) data using three conduction theories: Poole–Frenkel, Schottky, and Hopping. Poole–Frenkel and Schottky analyses are performed by the implementation of linear regression. Hopping analysis was performed using a rigorous statistical technique that incorporates nonlinear regression as well as a bootstrap statistical analysis of fit parameters. Analysis of J(E) data over the temperature range 25–175 °C indicates that 13-micron-thick untreated PI films are dominated by a hopping process at lower temperatures; however, transition to Schottky-dominated conduction occurs as temperature is increased. Films treated with O2 plasma show similar characteristics to the untreated set: Hopping dominated conduction at low temperatures with gradual transition to Schottky. However, the transition to Schottky conduction occurs at a higher temperature in plasma-treated films in comparison with the untreated control set. These results are verified by (1) extracting dielectric permittivity from Schottky plots as a function of temperature and (2) a statistical interpretation of confidence intervals calculated for hopping fit parameters used in low-temperature nonlinear regression. Outcomes from theoretical analysis of the data are used to provide further insight into how surface chemistry may be tailored to limit high-field leakage current in polyimides and insulating polymers in general. The online version of this article ( https://doi.org/10.1007/s10853-019-03574-w) contains supplementary material, which is available to authorized users. The authors of this publication would like to acknowledge the support of the National Science Foundation as part of the Center for Dielectrics and Piezoelectrics under Grant Nos. IIP-1361571 and IIP-1361503. We also would like to acknowledge Adam Walder for his expertise in RStudio script writing and input on statistical analysis of parameter estimates from nonlinear regression. Adam is a Ph.D. student in the department of statistics as part of the Eberly College of Science at Penn State.